Did you miss tryouts? Not to worry, coaches can still evaluate players at our Advanced Spring Clinics (May & June) sessions or School of Excellence (August). Email [email protected] to be put in touch with the coach for your age group. 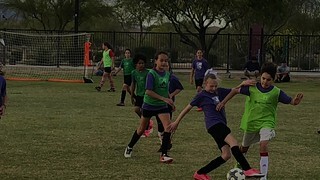 As a club that encourages our players to participate in other sports, we are offering 4-5 tryout dates for each age group. We would like to see you at ALL tryout sessions but recommend at a minimum to attend at least 3 so coaches get a well-rounded and fair evaluation of your soccer skills and abilities.